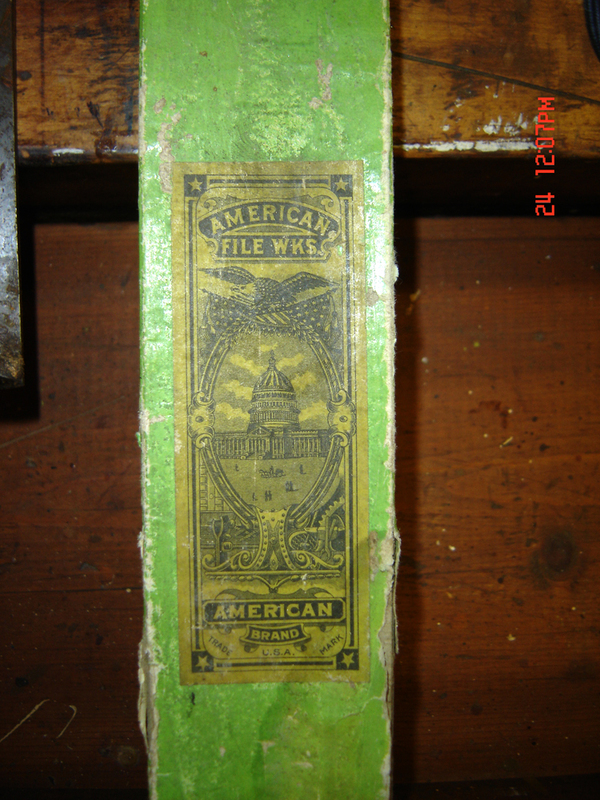 I realized today that I hadn't posted about my latest finds - and further that it had been a few weeks. As I've mentioned previously, the new job has most of my attention - it's going quite well. I originally was hired on a 6 month contract but they gave me an offer 2 weeks in, so starting the third week I became a regular, salaried employee. 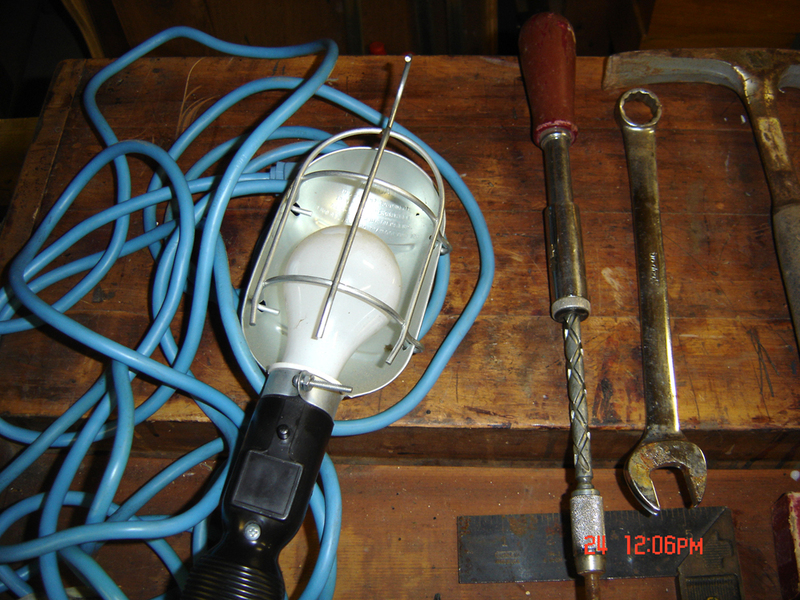 In any case, these are the tools I picked up the weekend of July 24th. 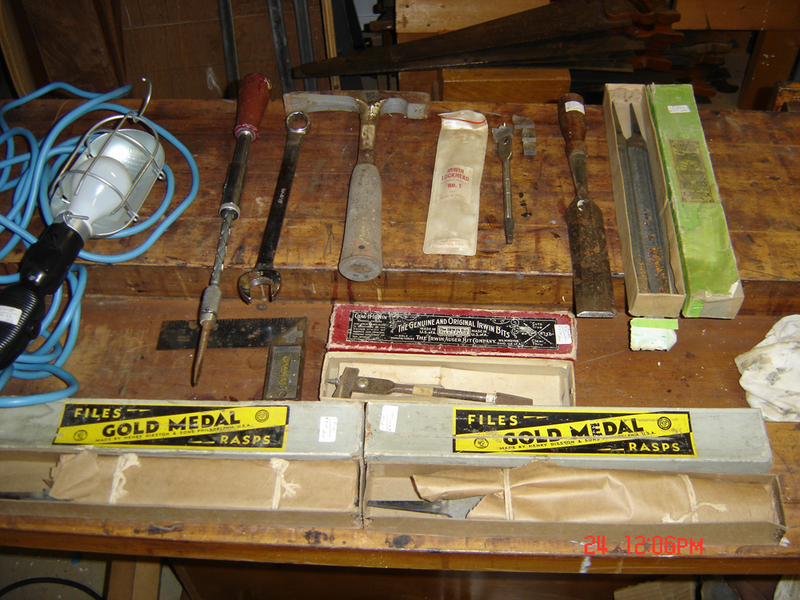 I stopped at two sales (actually one estate sale and then my friend John once again called me about some files he saw at one of our favorite junk stores - managed to find a couple of other things there as well). 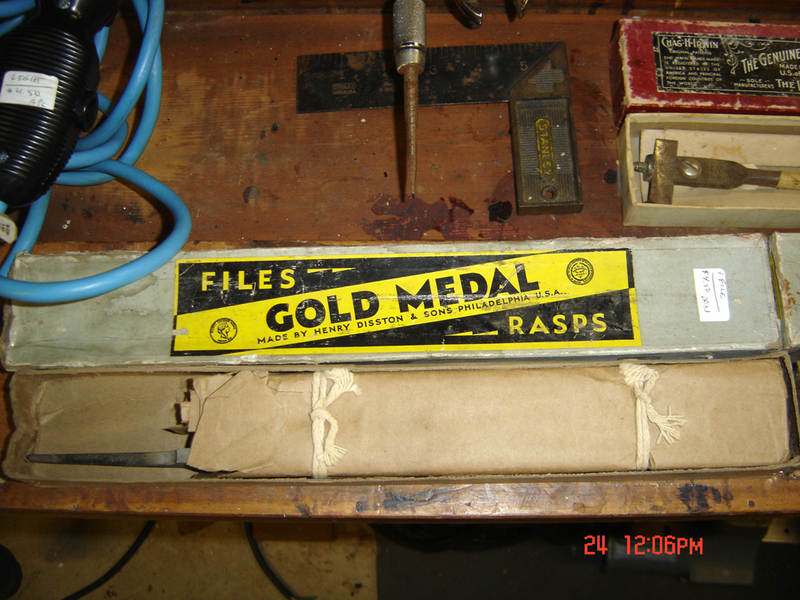 I'm pretty much a sucker for packaged old items - these files (mostly unused) are a good example. 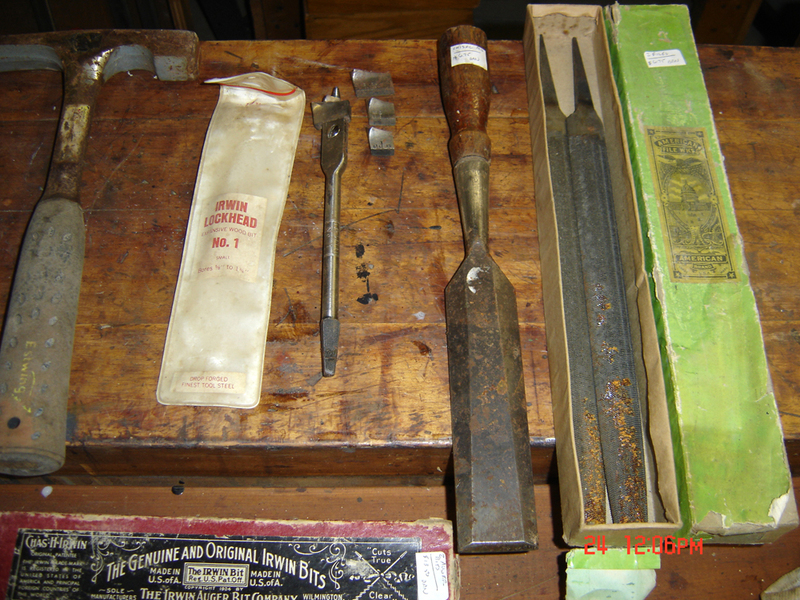 One of the boxes had a single file and some have some surface rust - however I'm still glad to have them. 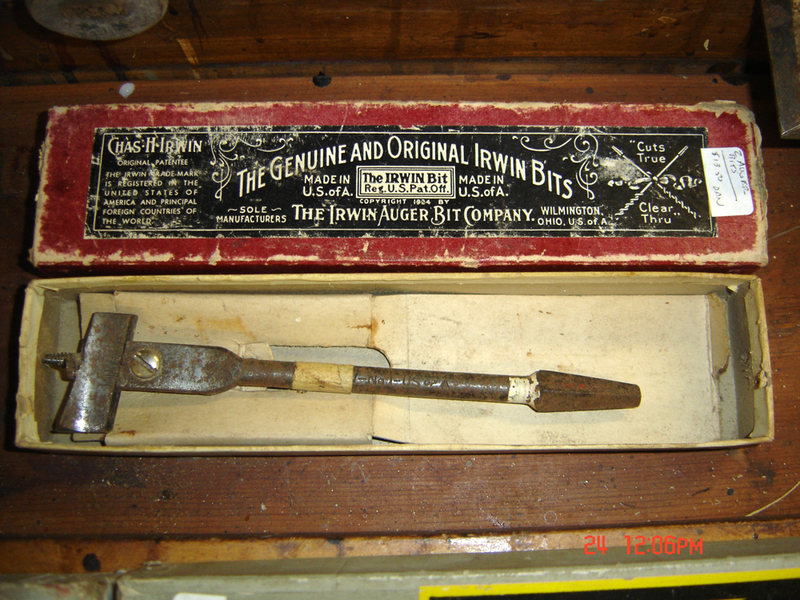 Also found was this Irwin adjustable auger that had an extra vinyl wrapped auger with it - the latter had extra blades. 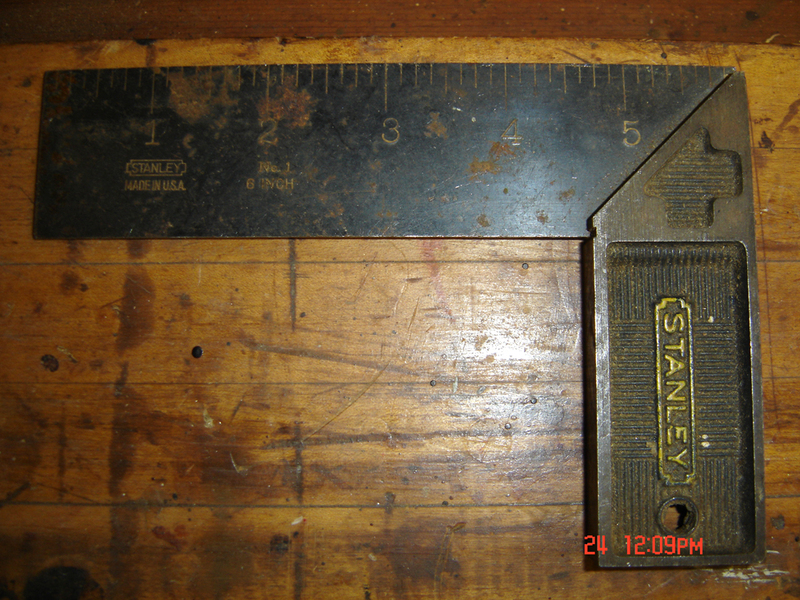 I also picked up that Stanley "D" chisel that's not too bad. 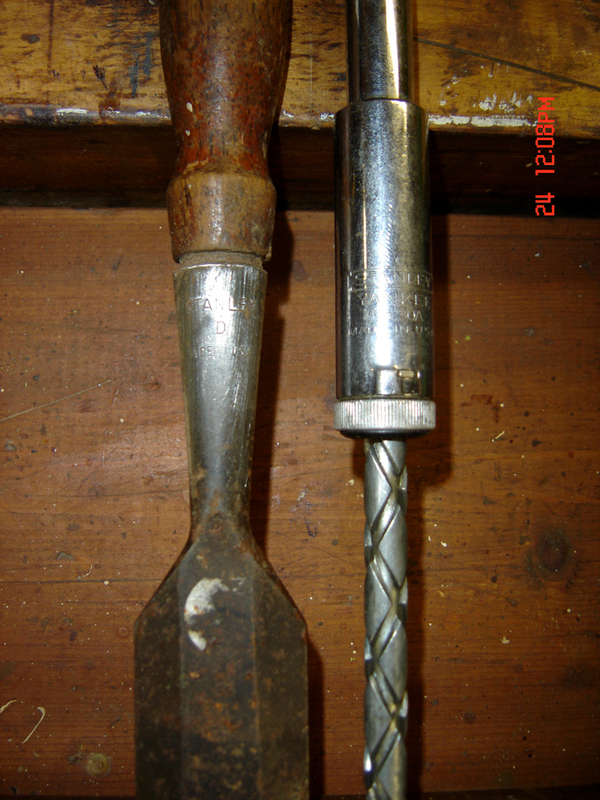 The Estwing mason's hammer was bought for a buck at the second sale. 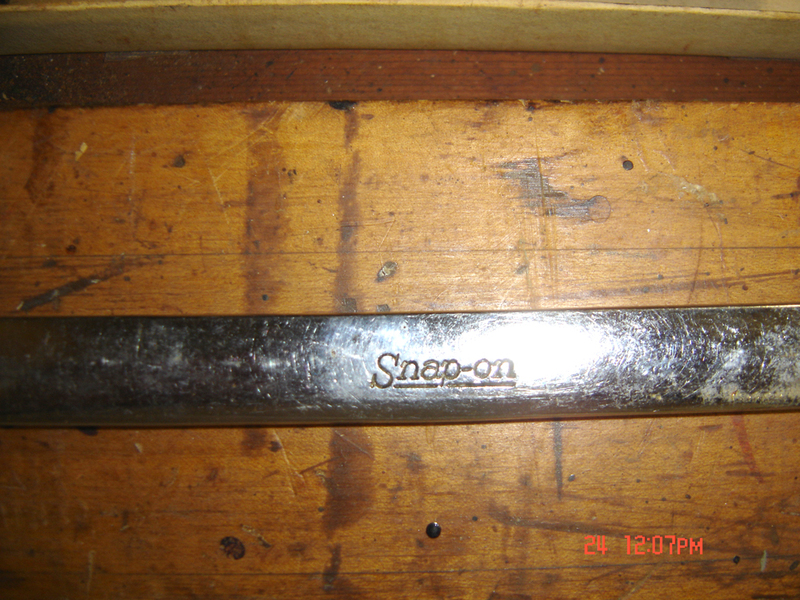 As were the Stanley "Yankee" style screwdriver and the Snap-On wrench. I also picked up the nice drop-light, as the plastic versions I own always melt around the bulb - this one is heavy-duty. This is the first metal handled square I've actually purchased, as I prefer wood-handles, especially rosewood, but I figured this one will still come in handy in the shop and will live near my drill-press. That wraps up the week of the 24th - I picked up some amazing items just this past weekend - those photos soon. I'm not sure if it is a normal feeling, but I am always strangely entertained by your hunting... There may only be a few of us who find complete joy in it... But on behalf of those readers, I want to tell you to keep up the good work. It is amazing what you are able to find out there.